Okay, maybe not so radical, but it sure felt that way, especially while I was doing it. 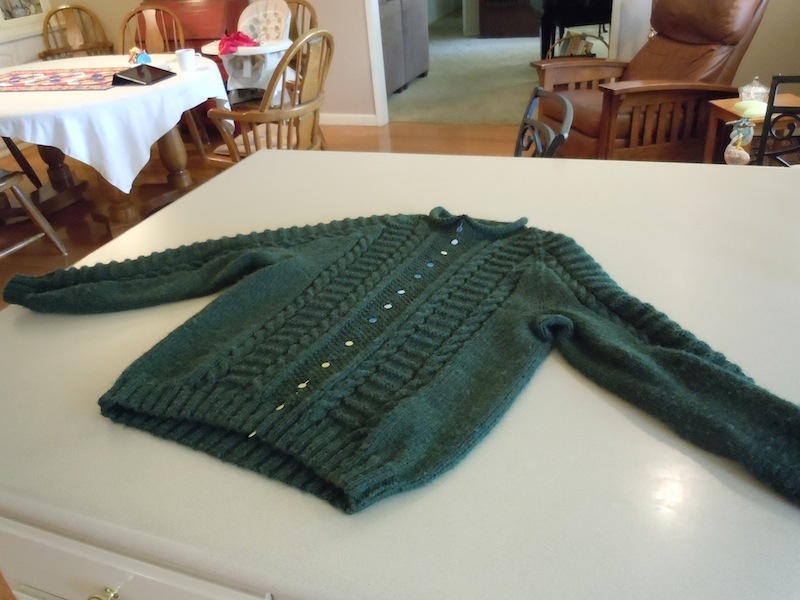 I knitted this sweater a few years back and found I never wore it even though I was mostly happy with how it fit and how it turned out. The bright circles are not buttons, but are pins marking the center line for the planned transformation into something I might actually wear. While they are fast and easy to knit, I find that pullover sweaters are functionally useless for me these days. I like a cardigan I can pull on and off as needed. 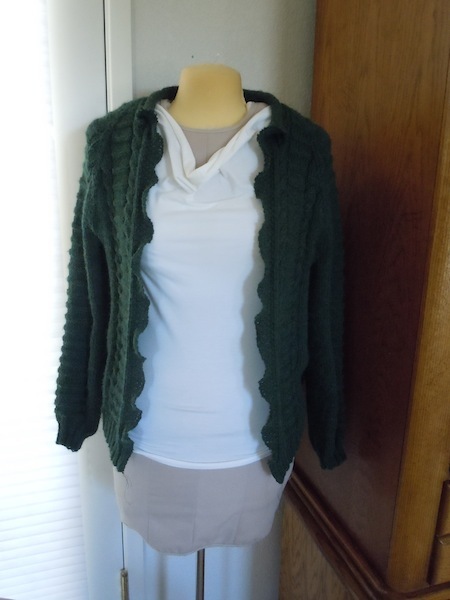 So I decided to try and make a cardigan out of this pullover that had been malingering on a shelf in my closet. Having done steeks before, I knew a tight zig-zag would secure everything so I did that first: 2 rows of zig-zag stitches down the center front, about 1/4 inch apart. Then, I took a deep breath and my Gingher shears and started cutting between the machine stitches. 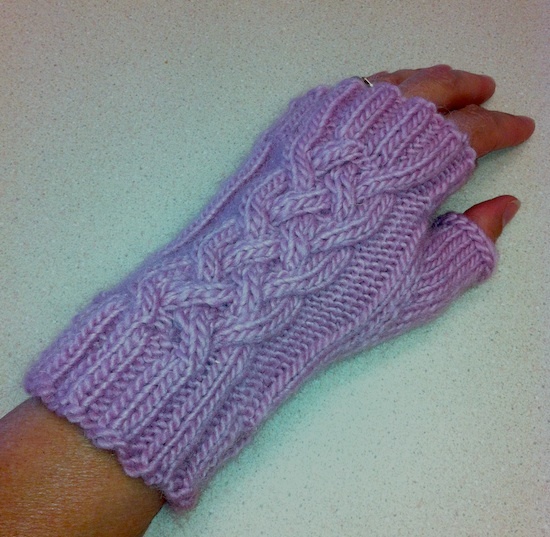 Since the remaining yarn from this project is long gone, the option of picking up stitches and knitting a band on after cutting is also long gone. I had to think about what to do to control that edge for…oh about 30 seconds. I chose the fastest, easiest option that came to mind: zig-zagging one more time over the cut edge, and I just let the stretch happen as I noticed it was wanting to do after the cutting and look at that now stable edge with the lovely ruffle, a happy accident that looks planned, at least to me and especially given the current popularity of ruffles. Say, Sam-I-Am, I DO like this sweater and I will wear it in a box, with a fox, on a train, in the rain…after I trim off the thread tails.